It is impossible to have all four targets met. Even if money is no object, you still have to choose a trade off between low rolling resistance / low weight and puncture resistance. 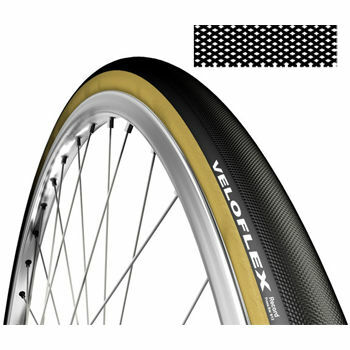 I spend more time researching and choosing tubulars to buy than I do anything else. So many combinations, choices, decisions and trade offs!. In the good old days, I’d just shove Continental Competition on and have done with it. But, I fear I’m losing too much time with good old Continental Competition. Even now I have an increasing choice of tubulars, I can spend ages trying to work out which tubular to use. In short there is no easy answer. When it comes to buying tubulars, I’ve often caught in two minds. I want to use a lightweight tubular like Vittoria Chrono / Veloflex Record, but then I think about puncturing and walking along a windswept dual carriageway for 10 miles, and I think I might as well stick to Continental Competition. The problem is that as the competition gets more intense, and you look harder for marginal gains, the idea of getting better tubulars becomes more attractive. Another consideration is that the rear wheel is more likely to puncture / more likely to wear down because it is the rear wheel which transmits your power output. Therefore, it is a good idea to consider getting a slightly more reliable (heavy) tyre for the rear. I generally risk lighter tubulars on the front wheel. In an ideal world, you would change your tubulars depending on conditions. For a dry day on a nice smooth dual carriageway, It is worth risking a proper track / timetrial tub like Vittoria Crono. Also, if you think you’ve got a chance for a PB, it makes sense to choose the fastest tubular. But, if you’re doing a 30 mile hilly time trial on rough roads in the wet, you have a higher chance of puncturing; in these conditions it is not a good choice to go for a feather lightweight smooth tub. I don’t particularly like the hassle of changing tubulars before every race – so tend to go for the default stronger puncture resistance. However, I am leaning more towards faster tubulars these days. When I got into cycling, I made the ‘schoolboy error’ of buying 18′ width tyres. I made the assumption that the more narrowe the tyre – the less rolling resistance there will be. Nowadays, you can hear the fastest tyres are 25′ even 28′. There are conflicting reports, but I’m happy with anything – 22-25. Perhaps slightly wider at the rear is preferable. I heard Team Sky use 24.5′ width tubulars – I’m not sure how they calculated 24.5 is better than 25. But I wouldn’t lose too much sleep if you have a 23′! 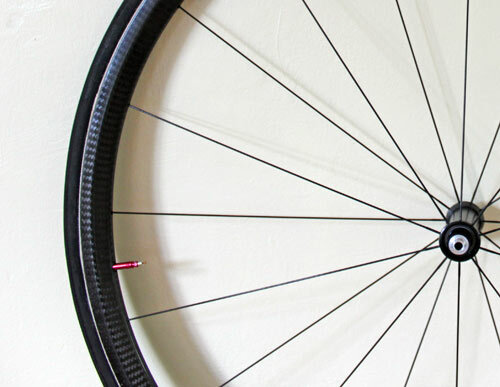 The reason that I revisited this post is that whenever I go to buy tubulars, I always spend hours trying to find the best tubular. One problem is that companies make a bewildering array of tubulars – just as you get used to one model, you find it has become discontinued and you can’t buy it anyway. This happened yesterday with Veloflex Record Sprinter – I couldn’t find anywhere to buy it. Great for professionals who can have free tubulars for different races, but most amateurs are not interested in such a range. Even the Record 28″ were out of stock at Wiggle, so I ended up going back to the drawing board and trying to decide which tub to buy. 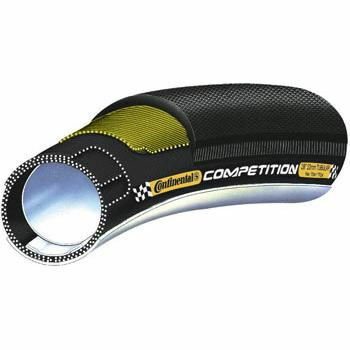 I would recommend Continental Competition for those looking for best puncture protection. 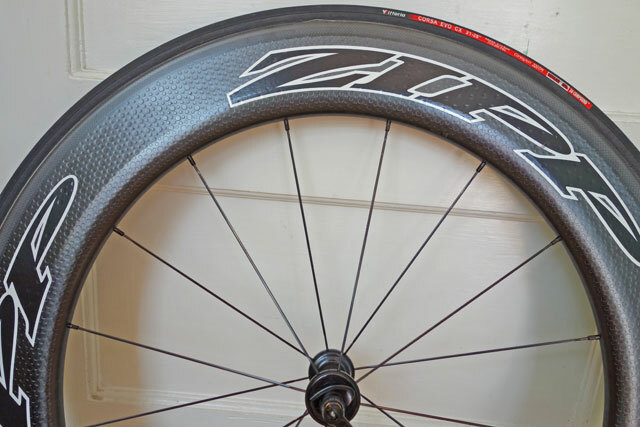 They are one of the most popular tubulars amongst pro-road teams. I’ve ridden on these for several seasons. I’ve had a few punctures, but they have been really quite infrequent. The problem is that now I’m looking for marginal gains, I feel I need to take risk of getting some faster tubs and increase risk of puncture. I even used to use these in hill climbs, which is a bit silly because they weigh 230-240 grams. I’ve been through several through the seasons – they last reasonably well – probably one of the best durations for tubulars. Another thing I like about Continental Competitions is that there are not several different named variations. Overall: You can’t go wrong with Continental Competitions if you’re looking for a good allrounder. But, for time trials, they are not the fastest. I have used Vittoria Corsa for quite a few years, but this year switched to new model Corsa G+Graphene. Graphene is a new material used in tyres. It is extremely thin, made from a nearly transparent sheet of pure carbon. Vittoria uses Directa Plus Graphene called G+, which is 2 to 8 atoms thin. 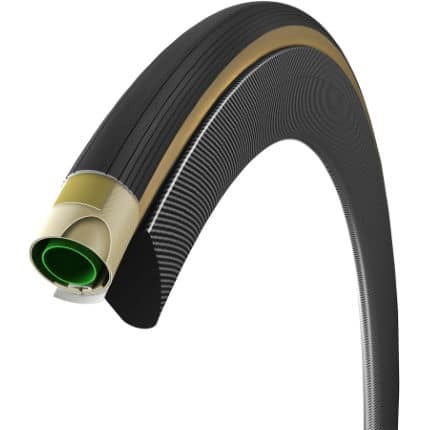 Vittoria claim that the tyre becomes responsive to how the rider is riding. When rolling straight it is at its hardest and rolls quick. When cornering, it becomes more subtle to enable better cornering. The puncture resistance is really quite good. They are an extra 20 grams than old Corsa Model, but the rolling resistance feels very good. It seems to be a marked improvement on quite a good tubular. A drawback is that they do wear relatively quickly (though resistant to cuts) and at £82.99 it becomes quite an expensive tyre. But, considering money spent on bikes, it is still worth spending. 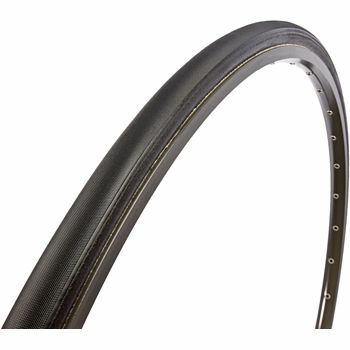 It is one of the most popular tubular choices for pro road teams. It has good rolling resistance and is quite grippy in the wet. The original Vittoria Corsa G+ Graphene is a little on the heavy side. The G+ Speed model weighs lighter – just 220grams for 23c. Claimed weight 165 grams (I’ve weighed mine at slightly higher at 170-180g – they can vary). But it is still one of the lightest tubulars which isn’t designed specifically for the track. They do feel smoother and faster on the road. In tests, they offer one of the lowest rolling resistance. I am planning to use these for certain time trials on my front wheel, where conditions are good. They don’t last very long, but then you would only use them for important races. As you would expect they are more prone to puncturing. The sidewalls are prone to easily disintegrating. Take care of them when transporting. Air pressure doesn’t last very long – after 12 hours, you already need to blow them up again. Unfortunately, Vittoria Crono seems to be out of stock these days. Veloflex Record are one of the real premium tubulars and have a price to go with it. If you want to go for fastest speed many advocate using Veloflex record. Last year I bought Veloflex Record Sprinter, which is essentially the Record 28, but extra puncture protection 30g. I bought a 21′ and have only used it in one race – national hill climb championship 2014. An expensive 3 minutes! How much to spend on a tubular? The tubulars mentioned here are all expensive. There is nothing under £50. My logic is that it for racing it is worth spending as much on a tubular as you can. If I used tubulars for training, I would probably look into something cheaper. But, I don’t use tubulars for training. Is it Worth Repairing Tubulars? Veloflex Record Sprinter? can’t find. Make sure you use something tough on Sunday Tejvan, there’s a horrifically rough, potholed, gravelly section of about 1.5 miles after turning left coming off the Beacon, and a few significant (but very visible) potholes on the first/final stretch! Honestly now; the testing of those tires was the point in which this avid cyclist decided to DROP Bike Quarterly from my reading list. Perhaps the best rolling tires are those which work within a very narrow range of pressure. The Tufo Hi Composite at 12 bar (NOT LESS) just rolls away from most any other fine tired bike to be found on the road. Run it at 10 bar or so as they did in the test and it rolls like a flat tire. GET real here. @J.Gillett If you’re running road tyres at 12bar on anything less than glass you’ll not be coasting away from anything – you’ll just be juddering your way to numbness and piss awful grip.